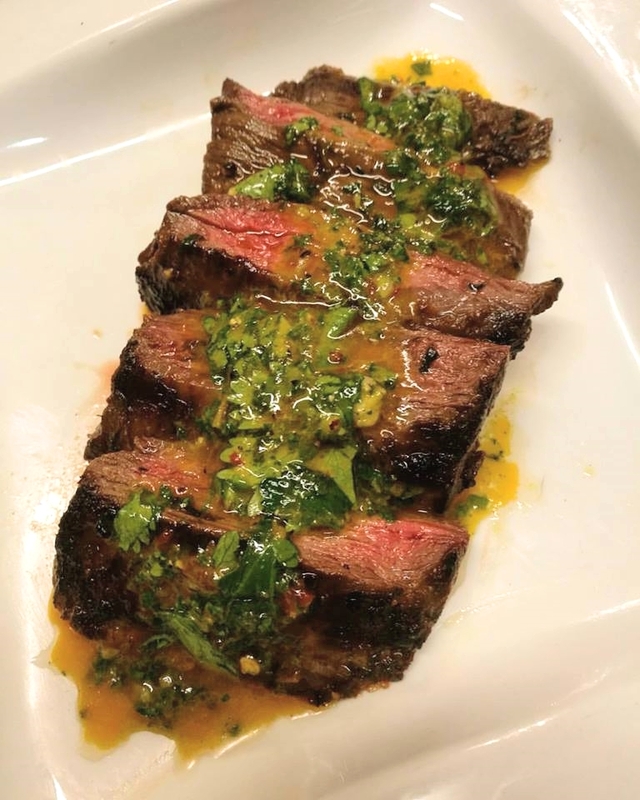 By using exceptional ingredients, such as Olive Us early harvest Ultra Premium extra virgin olive oil, you’ll create the exceptional, even in such a simple recipe as this Chimichurri sauce! This versatile sauce can enhance the flavour of almost anything! Use it with grilled vegetables, roasted or grilled meats, poultry, pasta, seafood, salads, potato salad, grain bowls, as a marinade, on pizza, with bread or fresh veggies. Bring some life to the party with your Chimichurri! Scrape the chimichurri into a bowl and adjust the seasonings as desired. This can be served immediately but gets even better when flavours meld for a few hours in the fridge. However, if chilled, return to room temperature before serving. Keeps well for up to three days covered and refrigerated. Also freezes well for future use. Makes approximately 3/4 cup of sauce. Thanks to Rachel Bradley for sharing her special recipe!